This month saw the publication of a paper in the Veterinary Journal titled “Breeding policies and management of pedigree dogs in 15 national kennel clubs”. The authors include Dr Tom Lewis from our Kennel Club. The authors investigated approaches being adopted by Kennel Clubs internationally and what they see as high priority issues. They issued a questionnaire to 40 KCs and received responses from 15, 11 in Europe and 4 elsewhere (Australia, Mexico, Uruguay, and the USA). The European responses were from Austria, Belgium, Denmark, France, Germany, Ireland, Latvia, The Netherlands, Norway, Sweden and the UK. Also among the authors were Sofia Malm and Gregoire Leroy who I met at the IPFD’s 3rd International Dog Health Workshop last year. They were facilitating the workstream on Breeding Strategies and Gregoire blogs regularly on the IPFD website (dogwellnet.com). 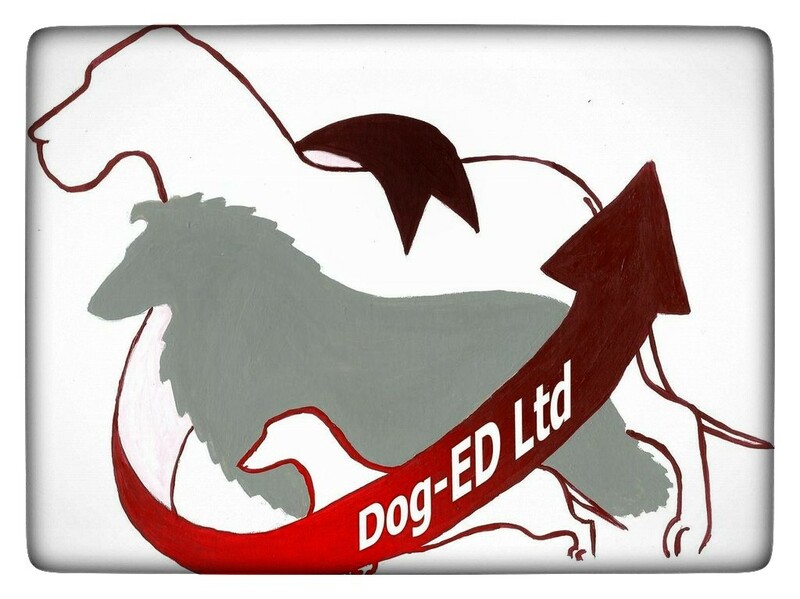 We know in the UK that our KC believes it registers around 35% of pedigree dogs which leaves a large number of breeders and dogs that fall outside its direct influence. I suspect that, historically, the KC and most breed clubs have taken the view that they can only influence dog owners among the registered population. Given the high percentage of unregistered dogs, the question therefore arises: who is looking after their interests? Certainly, in the Dachshunds, with our Pet Advisors among our Health Committee and Breed Clubs who are proactive on Dachshund Facebook Groups, we have taken the view that we need to help ALL Dachshund owners and potential owners. The dogs don’t know or care whether they are KC registered and if we can provide advice to all owners, that has to be a good thing. The survey results from the 15 countries showed a range from less than 1% to 78% of dogs registered by their KC. The Nordic countries, in general, had a higher proportion of their pedigree dogs registered by their KCs but it’s worth remembering that the total dog population sizes in these countries are relatively small compared with say the UK and USA. The lowest proportions registered were in India, Nicaragua, the Dominican Republic and Hong Kong. The highest were in Finland, Sweden, Iceland and New Zealand. Our KC reported a figure of 35%. When I wrote about the discussions at last year’s IDHW, I specifically commented on the international and cultural aspects that can significantly influence the choice of approach that will work for a Breed Health Strategy and the likely compliance from breeders and owners. This latest paper reinforces those comments. It is clear that what might work in the Nordic countries with smaller pedigree dog populations and a high compliance among breeders, is almost certainly not going to work in the UK, USA or Australia. That’s not to say we can’t learn from each other but a simple “cut and paste” solution that assumes “one size fits all” is doomed to fail. Each Kennel Club and each Breed Club needs to understand not only their specific challenges and priorities but also the context within which they are operating. The paper goes on to discuss the different issues each of the KCs prioritised. It should be no surprise that exaggerated morphological features and inherited disorders ranked as the most important issues. It has been obvious for at least the past decade that these issues are significant and are not going to go away. The evidence that some breeds need serious action is overwhelming and anyone still calling for more data is, in my view, simply in denial. In the UK, we have seen the formation of the Brachycephalic Working Group whose report and action plan was published last year. To me, this seems like a model for collaboration and practical steps that the diverse range of interested parties (stakeholders!) can sign up to.Our KC ranked issues in the following order (most important, first): exaggerated morphological features, inbreeding and genetic variability, inherited disorders, puppy farming, legislative constraints to breeding, dog behaviour and economic constraints to breeding. Individual Kennel Clubs’ responses to these issues are also discussed and we can see how widely adopted different approaches are and the proportion of breeds these cover. “Health recommendations prior to breeding were provided for more than half of the breeds in 11 countries, health status for breeding was required in 10 countries, and the maximum numbers of litters or/and puppies produced by a single dog were restricted in seven countries. Three countries indicated they do not have any specific restrictions on choosing mating partners, while another three countries reported that specific restrictions on choosing mating partners were implemented for all breeds.” Only 1 of the responding KCs said they have no health recommendations in place prior to breeding. It’s not possible to tell from the paper or its supplementary data which countries place restrictions on choosing mating partners or the limits on puppies produced by a single dog (so-called Popular Sires). Similarly, we don’t know how compliant breeders are where these rules exist or their impact on dog health or genetic diversity. Austria, Sweden and The Netherlands have breeding strategies covering all of their breeds. Five countries reported that they provide Coefficient of Inbreeding information online for 100% of their breeds (presumably that includes our KC via MateSelect). Three countries provide online advice mating tools for all of their breeds. The paper says that our KC provides EBV data on Hip and Elbow Dysplasia for 28 breeds (Sweden does this for 42 breeds). What’s interesting here is that there is a wealth of expertise available around the world and there should be many lessons learnt that can be applied to help KCs catch up, where they need to. I’m sure some of those lessons learnt would relate to the design and implementation of software solutions, as we often read about how easy or difficult it can be to navigate and find health or pedigree information in different countries. Applying those lessons learnt won’t necessarily be easy, particularly when KCs have legacy IT systems that really weren’t designed to meet the needs of today’s breeders or to cope with the newly emerging data and breeding tools. One of the other analyses was the pairing of countries with similar question response profiles. Our KC was most similar to the Danish KC and, perhaps surprisingly, France and the USA were paired. Uruguay/Mexico were also paired, as were Austria/Germany. There is potential for cooperation between these pairs of countries because of their similar responses. However, they might actually find equally useful insights by looking at countries with whom they have little similarity. Apparently, the French KC has already benefited from learning about our Mate Select system to develop their online database. My main takeaways from this paper are (a) that the issues facing Kennel Clubs and breeders of pedigree dogs around the world have a lot in common and (b) that, by taking an international perspective, there is huge potential for more joined-up solutions to be developed. Solutions will necessarily cover access to and sharing of information on pedigrees, health conditions and test/screening programmes. In terms of creating real change and breed health improvement, I think the key will be the development of Breed-specific Improvement Strategies (Breed Health & Conservation Plans in the UK). Sharing these documents internationally could prove to be a critical success factor in accelerating the rate of improvement in dog health, particularly if we are able to learn what works and what doesn’t in different countries and cultures. Readers will not be surprised, therefore, to see me conclude that I believe the International Partnership for Dogs has a major role to play over the next decade. This entry was posted in Kennel Club, Research and tagged IPFD, Kennel Club. Bookmark the permalink. ← What is it they say about “statistics”?